We are members of a special Top Producer Group of trained negotiators, advanced online real estate website search creators, and integrated online and direct mail marketing experts. What does this mean for you? It means that when you are ready to make a move our entire team jumps into action working harder and smarter to get you to your real estate goal quickly. Wilmington NC is a great place to live, work, retire or raise a family. Whether you are looking for your first home, moving up or retiring in Wilmington, NC. We are committed to making your home search and experience easy with helpful buyer tools like our FREE HOME SEARCH and many years of experience in negotiations for buyers & sellers. We can help refer you to proven lenders who in our opinion will offer the best rates. This is a very important part of the home buying process. We find if buyers are well versed and know what their buying parameters are, they are better able to negotiate for the home they want to buy. We know you may be in the early stages of looking and that is great. Take a moment to register by logging in so that you can save your search until you are ready. Our goal for sellers is to obtain the highest price the market will bear in the shortest amount of time in a seamless and pleasant transaction. Request our free 101 Point Marketing Plan to get your home sold quickly and for top dollar. Also, don’t give your house away! Find your HOUSE VALUE INSTANTLY. Of course if you want a more detailed price simply request a Free Comparative Market Price Analysis by filling in the form on your right. Jennifer Bullock and her team take the job of marketing your home very seriously. See some of our successful testimonials on the right. Our strength lies in our dedication and talent for managing the details. We believe that Real Estate is still a very personal business. Whether you are in the market to purchase or sell a property we are here to help your reach your goals! We specialize in helping buyers and sellers in Southeastern North Carolina. With years of experience in the field, I am highly qualified and possess the perfect combination of expertise and market knowledge needed to bring my clients the best possible experience. Proof of this is seen in my unparalleled customer satisfaction, which is driven by the commitment that I have to my clients and my prowess in the real estate field. 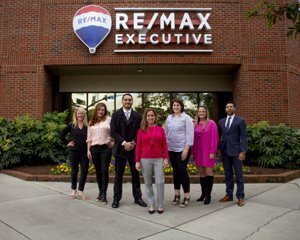 A native of Wilmington, North Carolina, Jennifer has an extensive knowledge of the area that will be invaluable to her clients as they navigate the process of buying or selling a home. With her background in the area, she is strongly committed to Wilmington and the surrounding communities in North Carolina. Jennifer strives to serve the community through the giving back of her time, skills, and knowledge to the area and its residents. This commitment to the community will also prove to be valuable to her clients as she strives to help them find the best possible way to meet their real estate goals in the area. Jennifer also has an extensive background in education. She achieved her BA in Biology from the University of North Carolina at Chapel Hill in 1990 and her Masters in Education from University of North Carolina at Wilmington in 2003. Jennifer went on to teach in the New Hanover County school system for many years, giving her a familiarity with the schools in the area that will be exceedingly helpful to families searching for homes in the area. Hard working, outgoing and dedicated, Jennifer will work closely with her clients until they are able to best meet their real estate goals. She is committed to building long-term relationships with her clients as she strives to take the time to understand their personal preferences as well as their business goals. Jennifer is dedicated to meeting and exceeding her clients expectations through a commitment to keeping promises, assuming responsibility, welcoming all feedback, and always striving to reach the best possible outcome. I'd LOVE the opportunity to work for YOU! I enjoy helping people buy and sell homes in our beautiful area!